TRENTON, New Jersey -- New Jersey Gov. Chris Christie lashed out at the president and Congress as full of hot air on Tuesday, portraying his own record as one of bipartisan bargains but also jabbing New Jersey Democrats as beholden to labor unions. The Republican presidential candidate used his annual State of the State address to highlight private-sector job growth in New Jersey and casting his work with the Democratic-controlled Legislature as a sign that he's pragmatic and gets results. "Instead of going for the quick fixes or the easy solutions, we've gone for hard solutions and a long term revolution in the way we run our state," Christie said. But Christie told state lawmakers they have to keep working to get things done and move the state forward rather than pander to special interests, citing a vote Monday on a referendum that would require the state to make quarterly payments to its public workers pension fund. He said Democrats would have to raise taxes to live up to their proposal to make pension payments, calling on whoever voted for the change to raise their hands if they supported tax increases. None did. Christie also proposed turning a recently closed state prison into a dedicated drug treatment facility for prison inmates and raising reimbursement rates for drug and mental health facilities. The speech came as his campaign is gaining steam in the first-to-vote primary state of New Hampshire, where voters go to the polls Feb. 9. 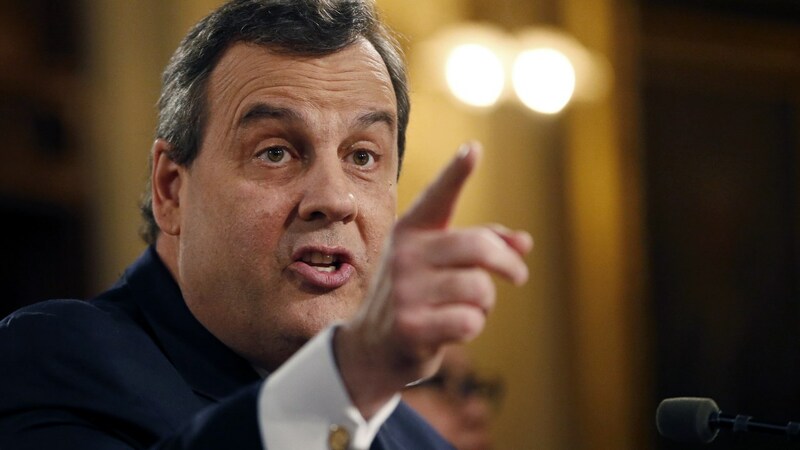 Christie has picked up key endorsements, risen in the polls and become the focus of sharp attacks from rival camps. The state's economy also has shown signs of improvement. The unemployment rate has fallen to 5.3 percent from 9.8 percent when Christie took office in 2010, and he has repeatedly highlighted an increase of 224,000 private sector jobs since he was inaugurated. Christie's in-state rivals have noted that while the economy has grown, the state still has fewer jobs than before the recession, and the state's credit has been downgraded nine times on his watch. Experts say Christie's presidential run means he won't be around to advocate for any of the proposals he might introduce. "The lights are on. Tolls are being collected," said Rider University assistant political science professor Ben Dworkin. "Taxes are being paid but the governor is quite literally phoning it in." It's an argument Christie has rebuked, saying he uses modern technology to do his job from the road. Even so, Christie's public schedule has him returning to New Hampshire Wednesday morning for a town hall there.